Just after midnight this morning, BART Police in Walnut Creek were searching for a murder suspected wanted by the San Mateo Police Department. The 22-year-old suspect, identified by police as Anthony Kirincic, was believed to have been riding the BART train. 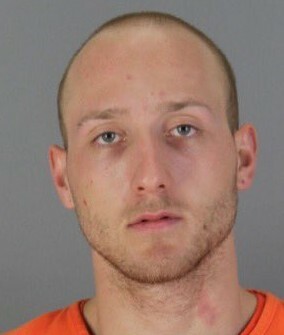 San Mateo detectives tracked the Kirincic’s cell phone and BART officers swept trains looking for the suspect. Officers also searched the station and parking structure, however, Kirincic was not located. The phone later pinged in the area south of the station, and Walnut Creek Police and other agencies, with the assistance of an aircraft, continued to search the city for the suspect. Kirincic is wanted for the murder of his 34-year-old girlfriend, who he allegedly stabbed to death on Saturday afternoon. No description of Mr. Wonderful? So the murderer goes into the BART station on the other side of the bay, leaves his cell phone tucked down the seat cusion or somewhere on the train..and the scent of the “ping” draws all the police miles away chasing the phone on the train. The suspect likely was smart enough to figure this one out. His picture and name was on the news last night and this morning. He is 22-year-old Anthony Kirincic. His picture is on Facebook. Are you talking abour me???? Hopefully his arrest isn’t traumatic and those evil police treat him with dignity and respect all the way to county jail’s hot showers, tasty and nutritious meals served in a happy mood color coordinated setting with VHI blasting some gangsta rap while the metro-sexual’s compete for who can sag their bottoms (pants would be sexist depicting some masculinity) planning who is going to groom whom next free time. I am guessing that he has been arrested previously. Looks like his mug shot is in prison orange. Other new sources say, “Records show the suspect has been arrested at least a half dozen times for drug offenses, assault, and attempted murder on a co-habitant”. I hope the spelling police don’t arrest me for spelling “about” wrong in my previous post. I can totally see what’s so charming about him. Killing with a blade is so….. personal. I wonder what she did or said to set him off. Very sad when relationships go sour.. Probably found out she was cheating on him and couldn’t handle it. He was a little too young for her. Let’s not judge him until the whole story is out, sounds like he was injured too. What an odd couple, this 22 year old loser and a seemingly productive college grad with skills, talent, and a real life. I wonder what the explaination was for this romance. Curious. OK, which flag gets banned to accomplish that? my guess is she tried to dump him or leave him. That’s when abusers get real violent. I can think of the perfect older woman for him. What’s her name that set up her ex and stabbed him to death. so they can Legally Exterminate this Peuking Maggot…. Ted K., SuperMax #15, Maybe she asked him to take the trash out or put the toilet seat down once too often? That’s reassuring as a BART rider on before 6 am. The next sensitivity session provided for him (under the right circumstances) will work…..just ask any liberal. He just needs the right words spoken at the right time in a color coordinated setting. His preference for soft chewy cookies or crispy cookies must be determined along with his beverage of choice (warm milk or cold milk). These are human lives and they ALL matter (except for the dead victims). You can’t fix demented and damaged. I am amazed that he was able to have a normal girlfriend who seemed to have her life together. So sad for her and her family. RIP. Now let’s find this maggot and get rid of him!!!! (Sorry to insult the maggots)…..